Don practices in the areas of real estate, corporation and business associations, banking, foreclosure, construction law, commercial litigation (contract disputes, collection), landlord/tenant, land use, and securities law. He provides legal counsel to businesses and corporations on a wide variety of matters and has extensive experience in complex commercial transactions. 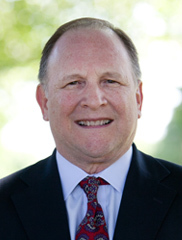 Don is a member of the firm’s Corporate and Organizations Practice Group. He lives with his wife and family in Leola.